B-Sure™ Foils require effective sealing, hence for this task we offer a range of Heat Sealers to close foil pouches, bags, and complex barrier laminates. By investing in a good heat sealing tool, you are protecting your product against moisture damage, gas ingress, and UV degradation. Many models include full process validation which is often essential for seal quality control. 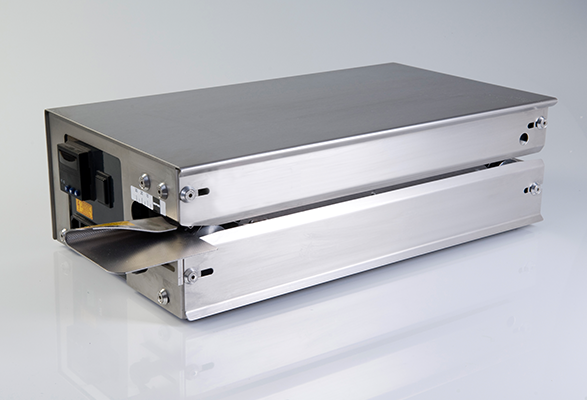 They can also be supplied with added options such as foot pedals, conveyors and (where applicable) data logger connectivity. Hence, this ensures compliance with the requirements of BS EN 11607-2. For help with your heat sealing requirements or any other problems that you have, please give us a call on +44 (0)1628 531900.